SEOUL -- Hyundai Motor's first-quarter net profit halved as bleak U.S. and China sales offset strong business at home in South Korea. Hyundai reported profit of 668 billion won ($619.15 million), versus 1.3 trillion won a year ago. The lackluster results underline how Hyundai, which has been in the red for the past five years, continues to pay the price for its heavy reliance on sedan sales in the U.S. and China, the world's top two auto markets, at a time when SUVs are all the rage. 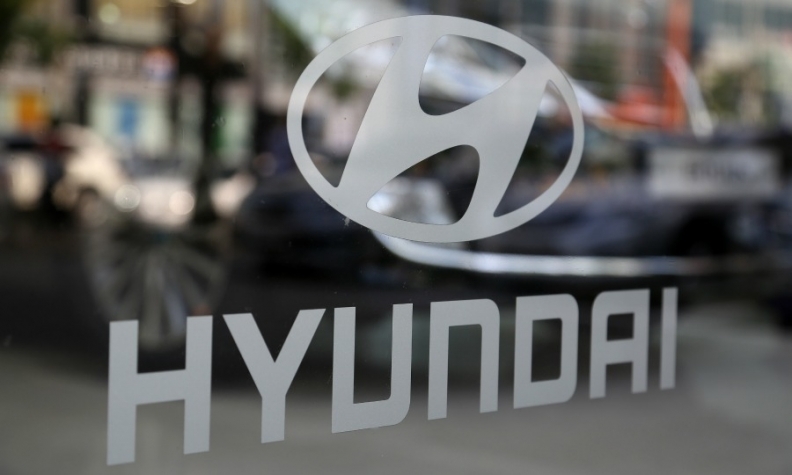 A stronger South Korean currency and labor union strikes also dragged on Hyundai's earnings in the recently concluded first quarter, the company said on Thursday. Hyundai posted an operating profit of 681 billion won and sales of 22.44 trillion won for the January-to-March quarter. In the U.S., Hyundai's third-biggest market after China and South Korea, its retail sales fell 12 percent in the first quarter with the launch of the Kona SUV failing to make up for the drop in sales of sedans such as the Elantra and Sonata. In China, Hyundai's sales slumped 15 percent during the period, despite a bounce in March. The automaker's domestic sales, however, rose 5 percent as uncertainty stemming from General Motors' plan to slash production and restructure its money-losing South Korean operations prompted customers to switch over to Hyundai and imported German vehicles. GM Korea, which ranked third in domestic sales after Hyundai and Kia last year, has seen its sales tumble since its February restructuring announcement. GM Korea's share of the South Korean market halved to 4.7 percent over the first three months versus 2014 levels, while Hyundai and Kia saw their combined market share rise to 69 percent - the highest since 2014, according to government data. Activist hedge fund Elliott has dismissed a restructuring plan by Hyundai to streamline a complex ownership structure as insufficient, calling on the conglomerate to adopt a holding company strategy, boost shareholder returns and appoint more independent board members.